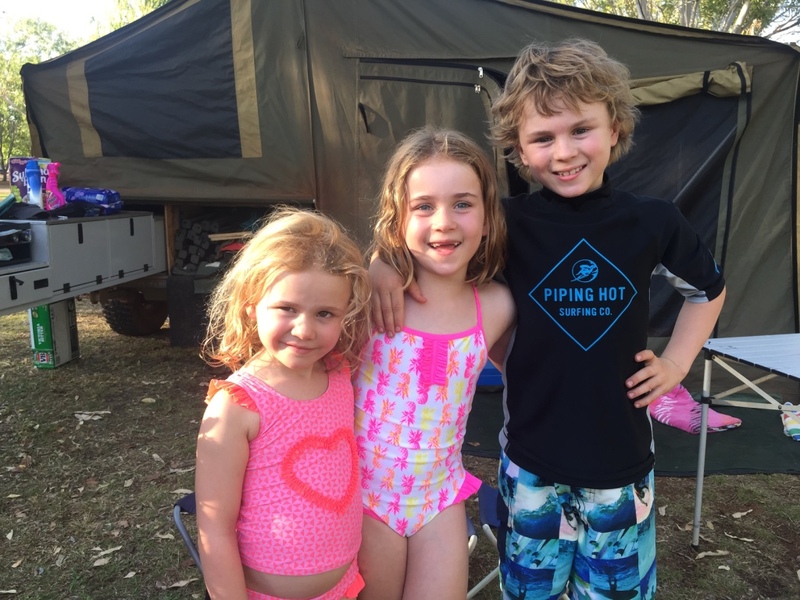 After the amazing Kakadu we started to head south and decided to return to Edith Falls for an easy stopover and we were lucky enough to get a camp for the night where we could stay hitched (one less thing to do in the morning). At the falls we met Wayne a guy from Melbourne who plays the didgeridoo and travels around Northern Australia to collect hollow wood from termites to make his own didgeridoo instruments. 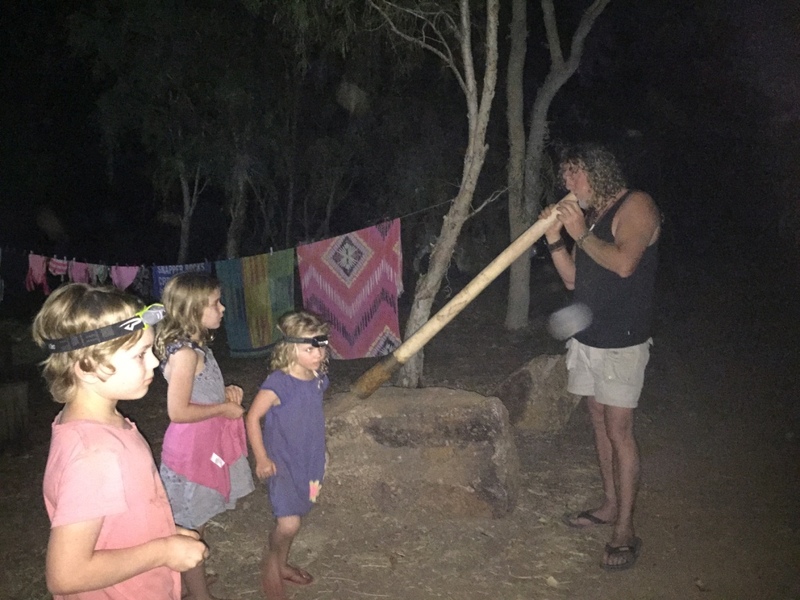 He played for the kids and was amazing he also promised us a didgeridoo when we returned to Melbourne. 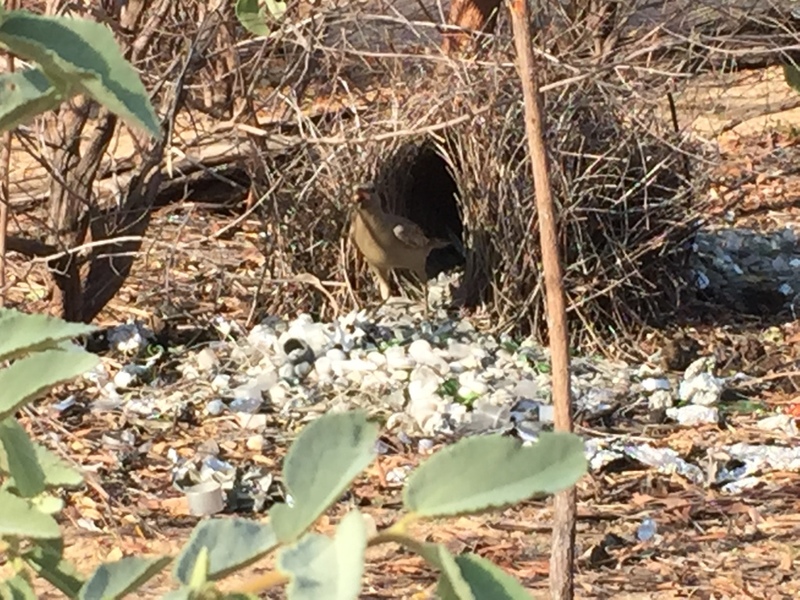 At Edith Falls we enjoyed a swim and the children were excited to see a Bower Bird in its nest dancing. The next day we realised that in addition to the groceries we needed to buy some adult beverages and the shops are not open until 2pm due to alcohol restrictions…the Savannah Way route we are taking traverses Aboriginal Lands and has alcohol restrictions and mostly completely dry so if we missed this chance it might not be anything until Cape York. 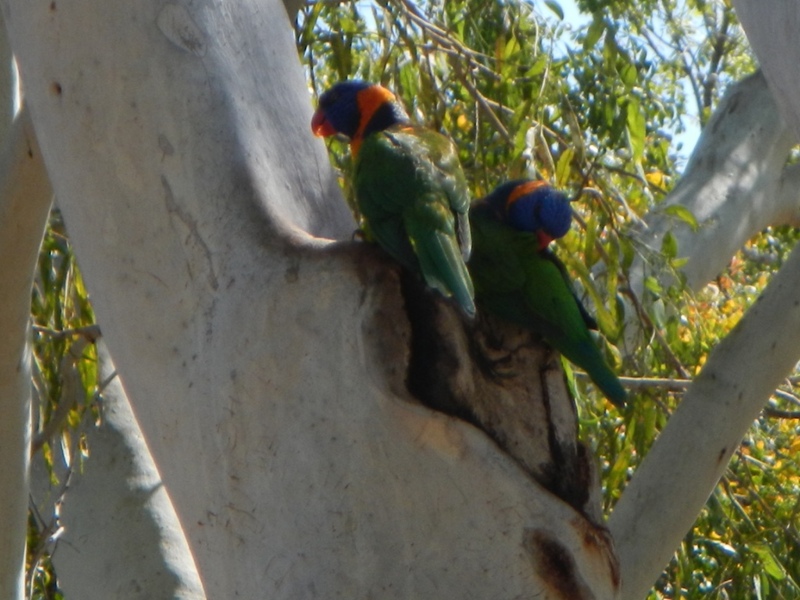 We packed early and headed into Katherine to get the shopping and see if we had long to wait…we managed to keep busy. 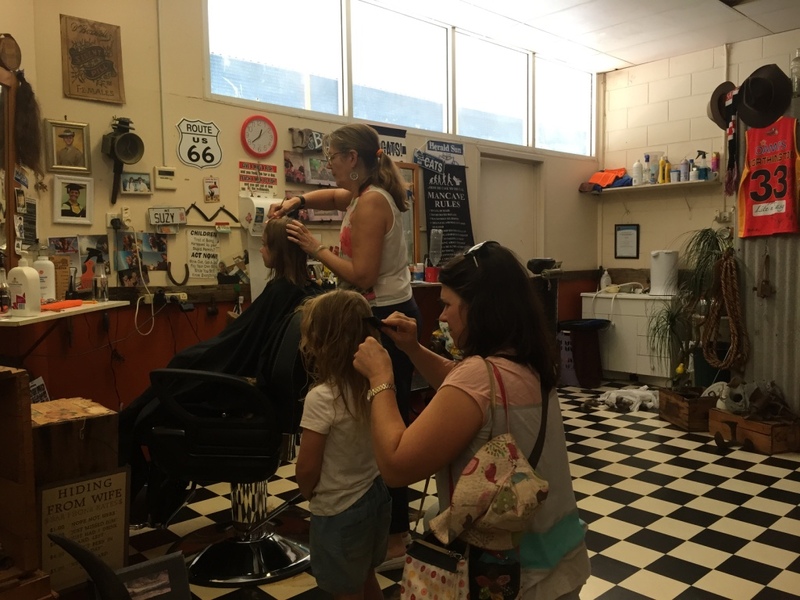 Andrew went for a hair cut and convinced Aaron to have one too after five months (about time) then we got the worst news you can get whilst travelling in a camper trailer…Aaron had head lice, so the girls had a haircut aswell (no nasties spotted) and we purchased the requisite supplies then headed to Katherine Big 4 caravan park for an unscheduled stop over. 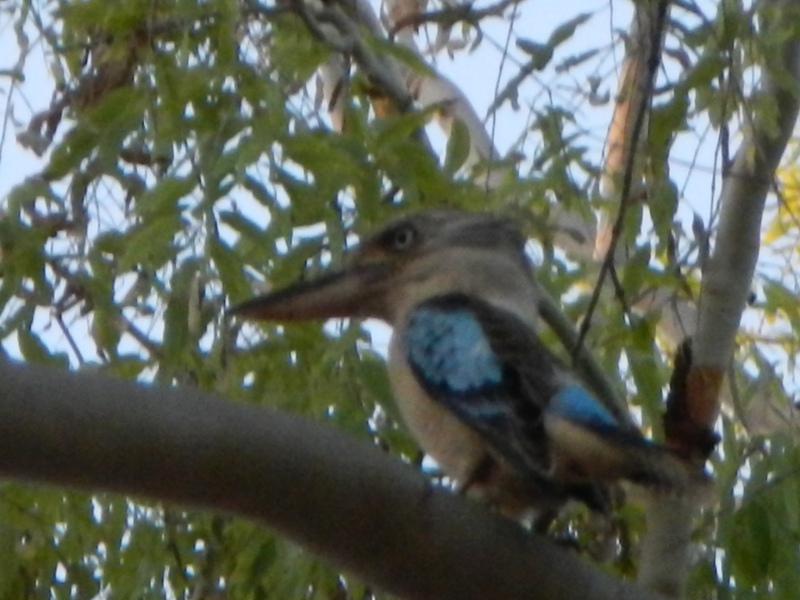 There were lots of lovely birds at the Katherine Big4 we spotted a number of Blue Winged Kookaburras and some Rainbow lorikeets. 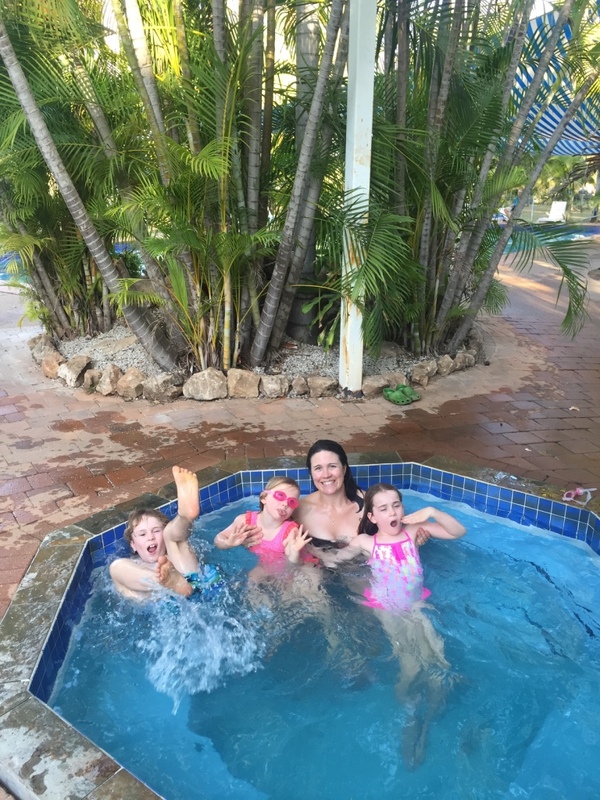 Katherine Big 4 have a swimming pool and we got busy washing all the sheets and any other item we thought might harbour lice eggs determined to ensure we did not have a recurrence – Especially as we were headed into remote Gulf Country and not all camps would have facilities to wash! 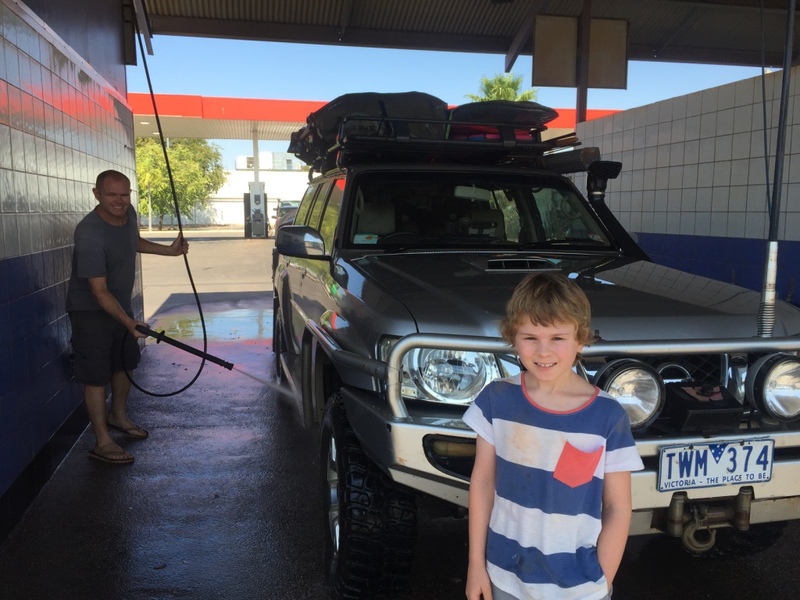 After a busy twentyfour hours we refuelled ready to hit the road again and we gave the Patrol and Tambo a wash – the first since leaving Broome!